The Educational Settings section of this website provides advice and support to teachers and educators who wish to deliver their own K'NEX and Kid K'NEX sessions, in a wide range of educational settings. 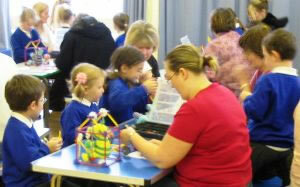 Some educational organisations, however, prefer to invite in an experienced K'NEX professional to deliver K'NEX and/or Kid K'NEX sessions to their students. The K'NEX User Group maintains the list below of K'NEX Roadshows, who can assist you if this is your preferred approach. If you need K'NEX sessions delivered at your premises, but cannot find anyone on the list below to deliver them for you, please Email us. We may be able to help. Andy Shercliff of the K'NEX User Group is a K'NEX Training Consultant operating across the UK, who also runs the K'NEX User Group. He delivers K'NEX training workshops and whole-day K'NEX sessions, specialising in both engineering and family learning. 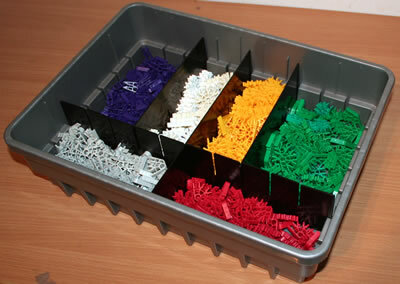 Karen Routledge is a K'NEX Training Consultant based in Tyne and Wear, and operating across the UK. Karen delivers K'NEX sessions and K'NEX training workshops to primary schools, secondary schools, children's clubs, family learning and childcare schemes. Karen is also registered to deliver Accredited K'NEX training workshops. Step Forward Consultancy is a K'NEX training provider based in East Sussex led by Michelle and Gary Johnson. Michelle was formerly family learning co-ordinator for East Sussex County Council. Gary's background is in training and IT. Both trainers are qualified adult educators, registered with the Institute of Learning. They deliver K'NEX sessions (including computer control) for all Key Stages and work extensively with primary and secondary schools, museums, libraries, charity based groups, adult education and family learning across the UK. They also offer a range of challenging corporate team building sessions. Team building without physical risk or getting your feet wet! 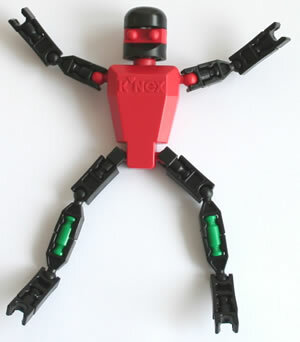 In addition, they deliver Accredited K'NEX training for tutors and adult learners. Nigel Moore is a K'NEX training consultant and engineer who spent a number of years delivering K'NEX activities to schools via his local SETPOINT. He now runs Nigel Moore Interactive Education in Shropshire, and delivers K'NEX sessions and K'NEX training workshops to early years, primary schools, secondary schools, children's clubs, childcare schemes and family learning, mainly in the West Midlands and Mid Wales. Imagineering is a K'NEX Training Consultant based in Warwickshire, delivering K'NEX sessions and K'NEX training workshops to Early Years, primary schools, secondary schools, children's clubs and childcare schemes. Merseyside, South Yorkshire and Derbyshire. KNEXT Generation is the K'NEX Training Consultant based in Aberdeen, delivering K'NEX sessions and K'NEX training workshops in all educational settings throughout Scotland. SETPOINTs across the UK visit local primary schools to help them participate in K'NEX challenges. In particular, SETPOINT Hertfordshire run an annual K'NEX challenge, which is limited to 100 participating Hertfordshire Schools. Registration is in September, and the challenges run from February to June, led by trained STEM Ambassadors. The Imperial War Museum at Duxford near Cambridge puts K'NEX to good use in its technology teaching programme. Students build large-scale hangar models during the 'Structures' day, one of a range of sessions for schools. The Oxford Trust offer training to people who want to use K'NEX for science workshops, and have a kit loan service for people in Oxfordshire who would like to run educational K'NEX sessions for schools or family learning. They also deliver a variety of challenges using K'NEX to schools and other organisations in Oxfordshire, Buckinghamshire and Milton Keynes as well as often having K'NEX based activities in their Hands-On science gallery. Airedale Active Learning deliver K'NEX sessions to schools from their base in West Yorkshire, including the Just in Time Business Simulation Challenge for Year 10 pupils. The XLWales Invention and Discovery Roadshow delivers K'NEX sessions to primary schools and community groups in South and West Wales. K*bots is a fun, educational concept which makes use of K'NEX building materials to teach young students, aged 7-16 years old, the basics of mechanical physics. K*bots events and workshops have been running in America for many years and include the K*bot World Championships in Las Vegas which annually receive around 450-500 competing students. Click on K*bots UK on the website to find out the latest news on K*bots events in the UK. Dark Sky Wales are providers of innovative STEM activities for all ages. All workshops are delivered by education professionals with many years experience in the field. Sue Mallinder is a Family Learning Consultant/Practitioner, based in South Yorkshire. She is a fully qualified FE tutor and delivers a variety of Family Learning/parenting activites for schools and community groups including Family K'NEX Challenges and Family Learning Training. Please let us know of any other organisations who we could add to this list, either in the UK, or elsewhere. 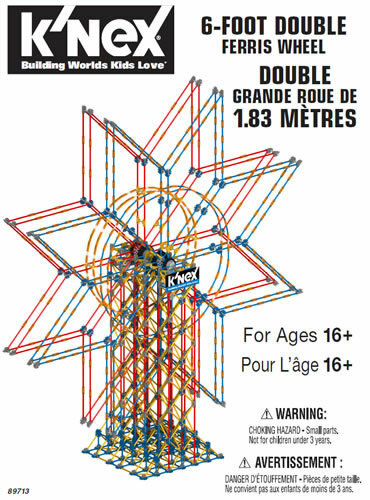 create a future offer KNEX workshops in the West Midlands conurbation and in Worcestershire, for all ages from 3 to adult. They are experienced in working in schools, colleges and work-based settings.